Things are slowly getting back to normal, and better than normal, around here. I’m almost caught up on a huge backlog of comics and will be posting reviews again. Here’s a rundown of last week’s pull list and what I do and don’t recommend you spend your money and time on. It is always exciting to get a comic in my hands that I have been waiting to read for months. 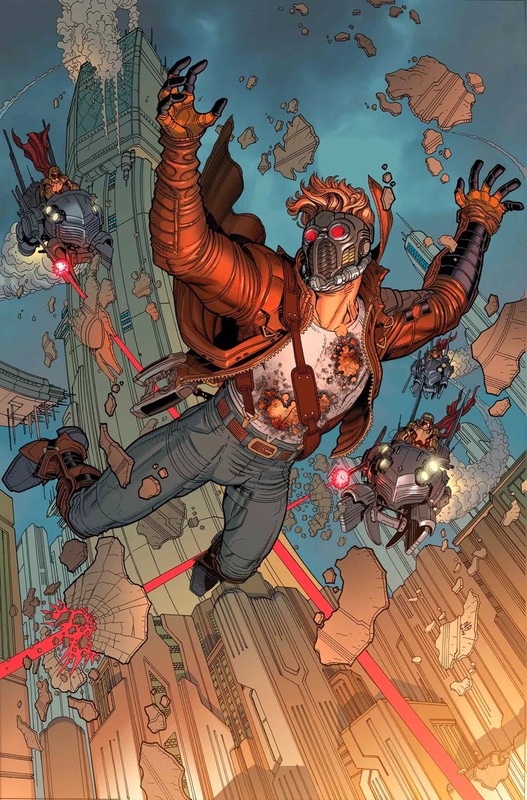 There has been a lot of buzz about this comic and the first issue lives up to it. Black Panther #1 gives a strong start to this new run of the title. Wakanda is being ripped apart by internal strife while T’Challa struggles with politics and peace. I an onboard for this story arc. The art is lovely. 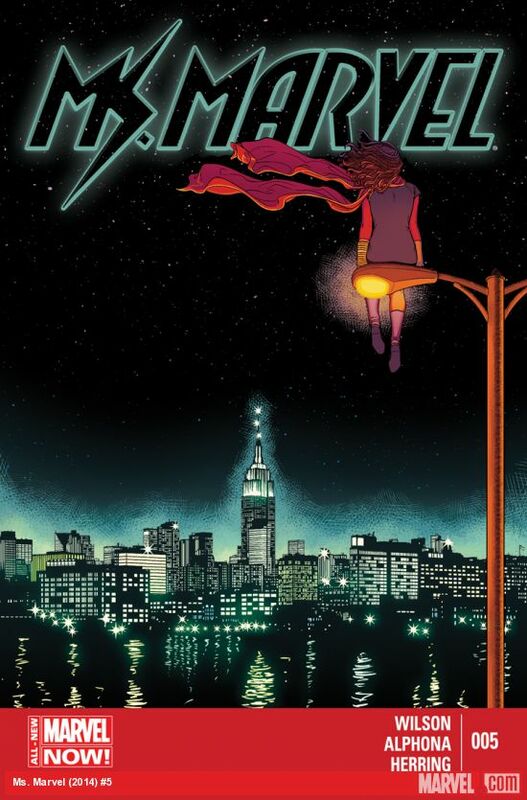 Brian Stelfreeze was a smart pick by Marvel to get Coates through writing his first comic. Stelfreeze is all about the minimalist Black Panther costume. His design of Wakanda and the golden city is beautiful. The way he visually communicates highly advanced Wakandan tech is subtle and inspired by true African cultural elements and aesthetic. There are several panels that I wouldn’t mind having a print of. I recommend picking up Black Panther #1. This is going to be a kickass run of Black Widow. We’re two issues in now and it is all action movie all the time. Explosions, crazy fight scenes, betrayals and lots of complicated spy stuff. Something about the art and the dialogue just feels like Mark Waid and Chris Samnee are having a lot of fun with this book. I love the art. With sparse dialogue, Samnee’s panels are doing the heavy lifting with the story and it works so well. Wilson’s colors work some serious magic is setting the tone in each scene. Pick up this run of Black Widow if you haven’t done so already. Yes, oh hell yes, it’s finally happening. If you’ve been reading this book, that thing we’ve all been waiting for is here. It all goes to hell. All of it. 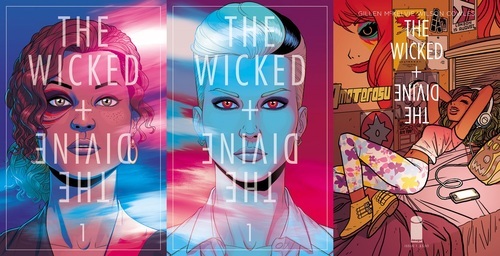 If you aren’t reading The Wicked + The Divine, you probably need to re-evaluate your entire life up to this point. I had high hopes for this issue that were dashed very quickly.This is the kickoff issue of a crossover between Spiderwoman, Spider Gwen, and Silk, all of which I enjoy. The humor falls flat and the art is terrible. Del Rey tends to draw people that look like dead eyed fish. She goes with that art pencils style that can be really interesting when done well, but is a distracting turn off when it isn’t done well. I’m disappointed. 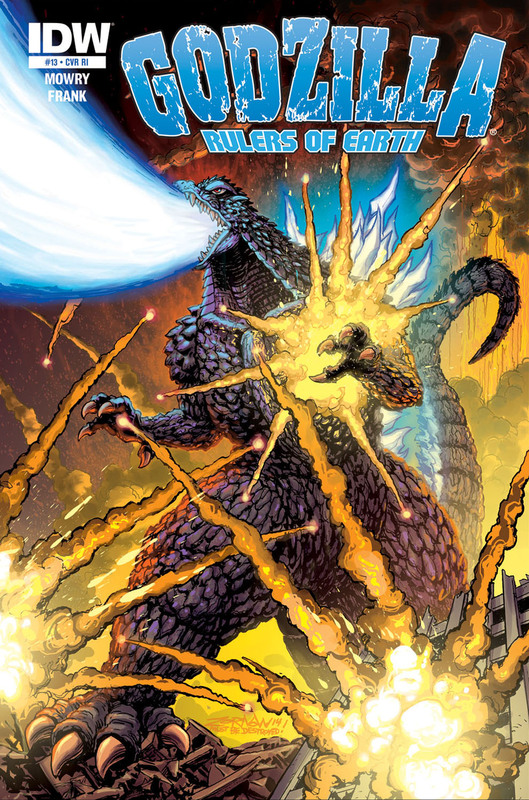 Not looking forwarding to this arc invading three comics I currently read. I advise only picking this one up if you’re a cross over completest. The nice folks at Austin Books and Comics were very insistent that I give Rough Riders a shot. They were right. They’re almost always right. Rough Riders is an alternate history piece where Teddy Roosevelt is basically a steampunk Batman who recruits an American version of League of Extraordinary Gentlemen to invade Cuba, using the downing of the USS Maine as a cover for dealing with some X-Files level weird stuff. The dialogue is good, the art is fun, and the story is intriguing. I will definitely keep an eye out for #2.